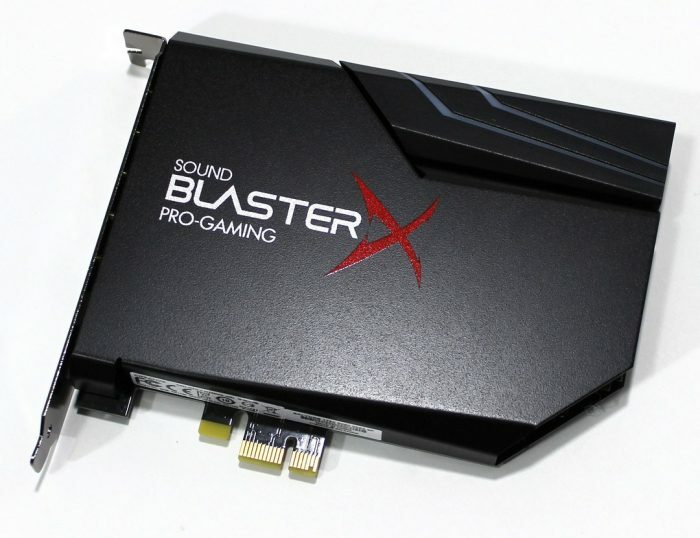 Home » Reviews & Articles » Hardware » Creative Sound BlasterX AE-5 – Is The Sound Card Really Dead? Before we dive into the new Sound BlasterX AE-5 we must do a little archeology. Put on your time traveler hats as we look back into the origins of PC as I grew up with. I an remember the beginning days of my PC experience. It was ISA slots and several KB of onboard RAM. Yea that’s right, back then we did not judge or even think of memory in Megabytes but in Kilobytes.. Motherboards back then also were very barren for connectivity with only the basics such as a 5 pin DIN connector for the keyboard connection. This was about 4x the size of the already obsolete PS2 connection you see on what we call ancient keyboards now. The reason for this explanation was to lead to where we are at today. Back in the days of the early personal computer or PC every option you wanted on your PC had to be added via expensive and sizable expansion cards. one of which, we take for granted every day that motherboards come with onboard audio controllers when back in the early days it was an added cost and it occupied precious ISA slot space. Back then there were only a few players and the most prevalent at least for me growing up in southern California was either Creative and AdLib cards. The AdLib cards were the most prevalent and widely used form my experience early on but as Creative really began to push Sound Blaster branding and stronger audio performance we saw a defined shift in preference. I do believe a lot of this had to do with branding as well as AdLib by comparison felt very business or corporate while creative made it their business to build very “modern” or gamer style packaging which engaged with the new breed of PC gamers starting to come into play. Back then you really had to know what you were doing when assembling or adding parts to your PC as you had to address and configure every device for memory addressing and specific IRQ’s. One of my first Audio add in cards much like the one I will be showing you today was a Creative unit although it was a huge card which fit into the massive ISA slot on my XT motherboard. It did not have any of the features you get even with the most basic motherboard audio now but back in those days the most basic low bit rate sound was considered groundbreaking as you play your game from your 5.25″ floppy disks. The Sound BlasterX AE-5 comes to market at $139.99 which is a costly add on for your system. This price may seem a bit rough especially when most all motherboards include audio onboard which many of us have come to the conclusion is “good enough”. Now the reason I am even writing this is that I am one of those who for the better part of over 10 years now have not touched an audio card really as I feel the onboard motherboard audio is good enough. So without further hesitation lets look at what makes this special and if it is worth the investment. Add on companion app for mobile devices which visually shows the location of where sounds are coming from such as enemy players. Onboard RGB lighting and an accessory port where you can plug included Addressable RGB strips into for controllable system lighting. With those out of the way now lets see what we get with this card. love my card, paired with DT 990Pro 250ohm studio headphones. alot of onboard audio using the ACL1220 codec for example, will apply audio compression when you enable the equializer, making the sound sound like it is “stopped” from reaching its peak – its terrible, muddy and unclear. like you, i found the difference to be like night and day. Thank you for the feedback, as you can see I always try to add as much information as I can, but sometimes things do slip by. Yes, it really did make a rather noticeable difference. 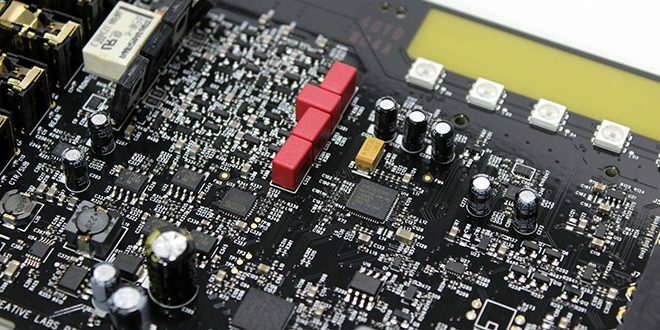 The Sound BlasterX AE-5 is an impressive audio solution offering an experience far beyond what we found possible by even high end motherboard audio solutions.